Getting a trouble-free used Honda car in Syracuse, NY, has nothing to do with luck. You’ll need to apply excellent research and fact-finding skills. 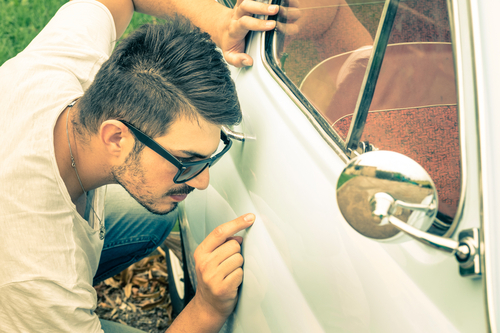 It’s important that you know how to inspect the car and be able to immediately spot potential issues. Before you go out shopping for a used Honda car at https://www.shophondacity.com, the following tips can help you find a used car with great value and avoid getting a lemon. A car’s exterior can easily make you fall in love with it. However, don’t be immediately fooled by its stylish body and shiny details. There are things that you need to carefully inspect before you let yourself get carried away with the car’s exterior beauty. Overall body condition: Carefully check each of the car’s body panel and the roof. Look for any hints of dents, rust, blistered paint, and scratches. Inspect the lines of the doors and the fenders. Gaps or misaligned panels could mean shoddy repair work. Paint finish and color should also be consistent on every panel. Open and close the doors, trunk, and hood. Examine for any loose hinges, especially the driver’s door. On top of that, look carefully into the wheel wells, door bottoms, and rocker panels beneath the doors. Use a flashlight if needed to carefully spot rust. Glass: Examine every glass and trace any hint of cracks or pocked areas. Bring up any signs of chip or crack in the windshield and use it as a bargaining point when negotiating. Suspension: Observe the car’s standing level by walking around it. Try to bounce every corner of the car up and down. This will let you assess if the shock absorbers are in great shape. Check for issues with the suspension or bearings by grabbing the top of the tires and tugging it back and forth. Lenses and lights: Investigate the car’s lights and lenses. Have a friend confirm if all lights are working when you use them and observe any signs of fogged, cracked, or missing light lenses. Tires: Check all four tires for tread wear, circumference, and tread depth. All four tires should also be the same. A car should still have its original stock tires even when it hits 20,000 miles on the odometer. Also inspect the sidewalls for bulges, scratches, and scuffing. Since this is where you’re going to be spending most of the time, perform a thorough inspection of the interior of the car. Odor: Sniff the interior and observe any signs of moldy, mildewy, or musty smell. You can also remove the floor mats to check for any acrid smell. Seats: Test all seats by sitting on all of them. The cushions should remain soft and firm with no visible issues with the upholstery. Pedals: Check for wear and tear on the rubber of the gas, brake, and clutch pedals. Controls and instruments: Turn the ignition switch to test if the check engine light and all the warning lights will illuminate. Test all the switches, levers, and buttons if they all function correctly. Carefully inspecting the parts under the hood helps you assess the general condition of the car’s engine bay. It’s best to perform the check when the engine is cool. Immediate things that you should observe are dust, dirt, mud, oil, corrosion, and even wires and hoses that are hanging loose. Hoses and belts: Check the rubber hoses that run to the air conditioner, radiator, and some other parts by squeezing them tight. They should be supple and firm if they’re all in good condition. Check the drive belts to see if they’re frayed. Fluids: Ask the dealer to let you borrow the owner’s manual to determine how to check fluid levels. Check if the engine oil is black or dark brown and not gritty. If it’s otherwise, then the oil was changed. Look into the transmission fluid if it’s still pinkish. If it has a burnt smell and has a brown color, then it’s not a good sign. Radiator: Inspect if the coolant still has an orange or greenish color. You can do this by looking into the plastic reservoir that’s connected to the radiator by a rubber hose. Any greenish stains outside of the radiator may be a sign of a leak. Battery: Check if the battery is still in good condition by looking into its built-in charge indicator. Don’t forget to check what’s under the vehicle. It is sometimes the most overlooked part. Find a way to perform basic checks underneath. You can spread a blanket or borrow an auto mechanic creeper to slide underneath the vehicle. Tailpipe: Feel the tailpipe for any potential residue. If you find it greasy and black, chances are it has burnt oil. If you notice some heavy rust, then you might want to bring it up to the car dealer. Also, if you observe any oil leaks, drips, or even red or green fluid under the car, it’s not really a good sign. 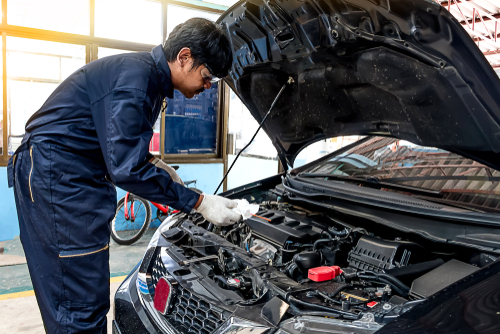 Even before or after you’ve inspected the car, it’s still best to get a second opinion. Bringing an independent mechanic to scrutinize the car further and perform more diagnostics should be the next step. The car dealer should have no problem with it and should even recommend the idea. Buying a used car or a brand-new car requires careful research and investigation. However, you must pay a lot of attention when inspecting used cars. You need to know what specific parts, corners, and areas in the car to examine. This will help you find a used car that’s trouble-free and in great running condition.